We're happy to have another guest blog from our friend in Woodlands, Texas, Jarrod Frenzel. When people think of luxury real estate around the country, Houston is not usually the first thing that comes to mind. The fact is, the Houston area has one of the largest inventory of luxury homes in the country and is steadily growing. With the Texas economy flourishing, the Houston luxury real estate market is alive and well. Forbes recently determined that Houston is the fastest growing millionaire city in the country, as the number of millionaires grew to almost 97,000 by the end of 2010. The oil and gas industry has helped keep the local economy strong through the national recession and the Houston real estate market has out-performed most others around the United States. The market was very strong in 2011 with a healthy number of sales over the $1 million mark. Builders have even started building multi-million dollar spec homes again in certain submarkets around the Houston area. Located on the north side of Houston, the master planned community of The Woodlands has seen a lot of growth in luxury home market. People from all over the world are starting to take notice of this affluent area, with many purchasing second homes here. The mild winters, world class amenities, shopping, golf courses, and easy access to the intercontinental airport has made this an ideal place for wealthy individuals from abroad. The Woodlands has seen steady appreciation over the recent years and poised for some really great years ahead. With Exxon Mobil relocating all of their Houston employees to the area in 2013, residents are very optimistic about the future of their home values. 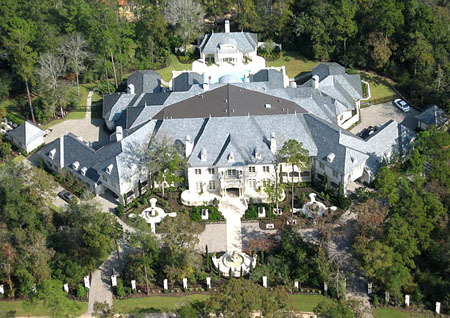 To add to this posting, this home named the "Danmar Manor" is also the most expensive home on the market in Houston as well at appropriately priced $19 million!